Hank Moore has advised many of the top CEOs on strategy, leadership and growth, including Disney, Marriott, Hewlett-Packard, AT&T, United Way, Texaco and hundreds more. He advises companies about the Big Picture issues which profoundly affect the business climate. He has presented Think Tanks for five U.S. Presidents and has spoken at six Economic Summits. 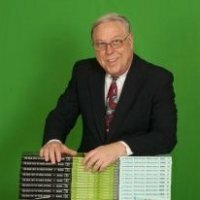 He has publisted the book "Houston Legends," which is the definitive history of Houston, through the prism of business, commerce and entrepreneurship. Hank knew and worked with most of the Houston power leaders, including the Worthams, Mastersons, Hobbys, Connallys, Ortons, Laniers, George Mitchell, Ima Hogg, George R. Brown, Ben Love, etc. They got him on boards and entrenched in community service. He will also discuss his new book, “Pop Icons and Business Legends."